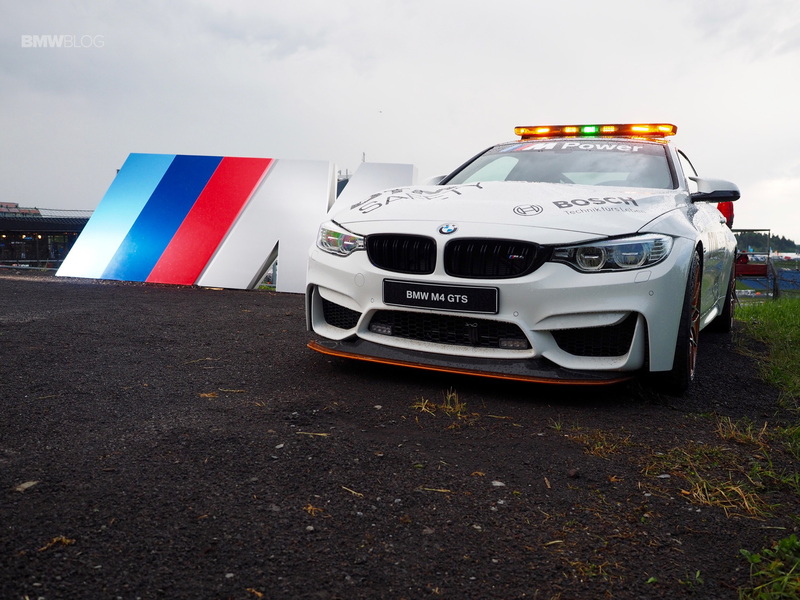 The BMW M4 GTS is the official DTM safety car during the 2016 season and for a weekend, it’s present at the BMW M Festival at Nurburgring. 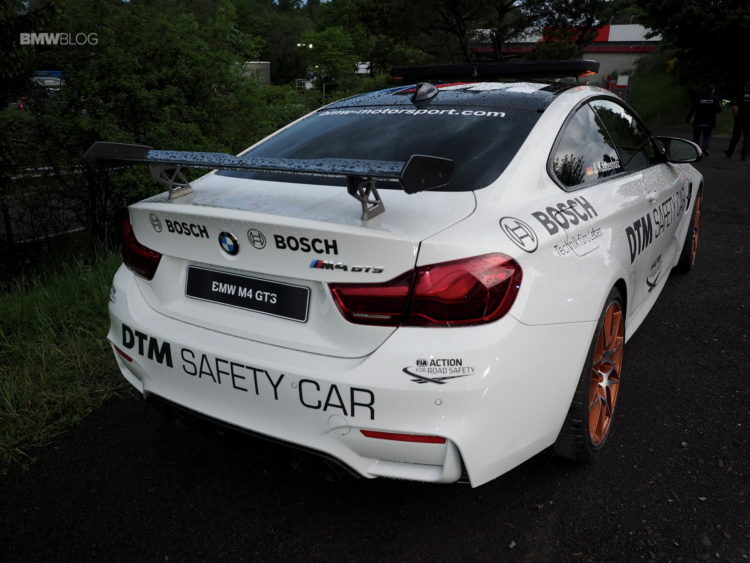 The mandatory safety features for the DTM safety car are already fitted in the standard M4 GTS, starting with the Clubsport Package including an Acid Orange roll bar located behind the front seats, 6-point seat belts especially adapted for racing and a fire extinguisher. 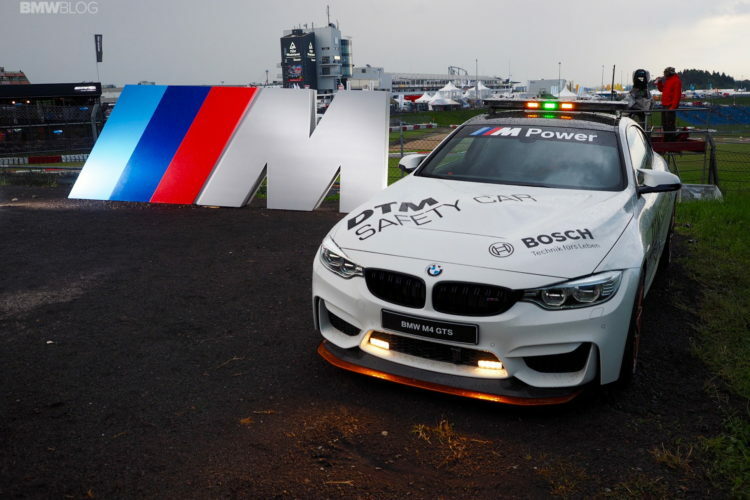 Therefore, to render the car suitable for DTM racetracks, the safety car comes with a light system with an LED light bar on the roof, LED flashers in the distinctively designed front apron as well the flash mode function for the LED headlamps. Clearly visible “DTM Safety Car” stickers and a radio installation for interference-free communication between the safety car crew and the race control were also added. Under its bonnet it boasts the award-winning, 3.0-liter engine taken from the BMW M3/M4. Thanks to innovative water injection technology, it was possible to increase engine power output by 51 kW/69 hp to 368 kW/500 hp. Maximum torque was increased from 550 Nm to 600 Nm.